A 23-year-old man was arrested following a confrontation in Spring Valley during which he allegedly bit a sheriff’s deputy’s arm, causing minor injuries, authorities said Tuesday. Dispatchers received a call around 9:55 p.m. Monday from a person reporting an employee of the AM/PM Arco gas station convenience store at 9065 Campo Road appeared to be under the influence of drugs and had allegedly threatened customers with a knife, sheriff’s Lt. Dave Perkins said. While deputies were investigating, the man flipped his handcuffs around to the front of his body, got out of the sheriff’s vehicle and got into a physical altercation with a deputy, Perkins said. 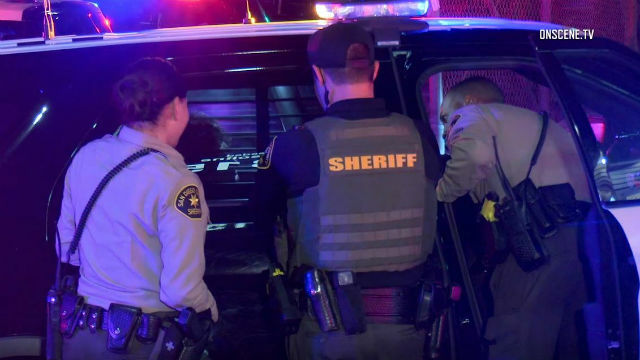 During the struggle, the man bit the deputy on his right forearm and allegedly attempted to reach for the deputy’s gun before other deputies arrived and subdued the man, Perkins said.